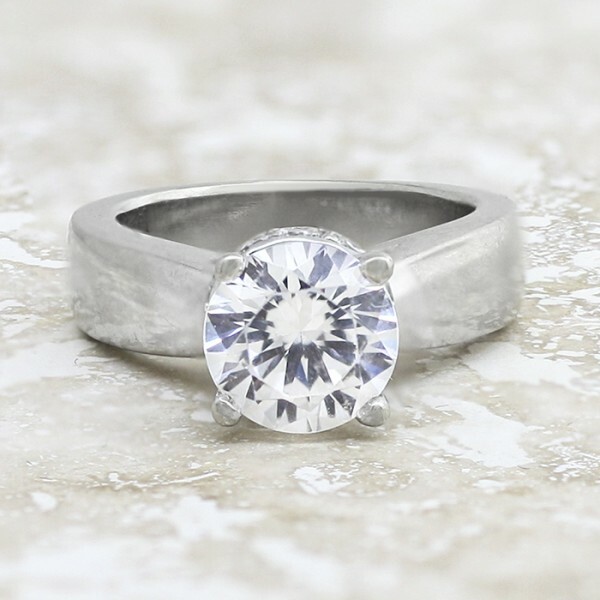 Ring With Lowered Halo and 2.04 carat Round Brilliant Center - 14k White Gold - Ring Size 4.0-6.0 was added to your cart. This high-profile design is regal and timeless. The Contemporary Nexus Diamond center stone is lofted high in a unique setting. Viewed from the side, a collar of accent stones wraps around the base of the center stone. The band is wide with a gentle taper toward the center which draws the eye to the sparkle of the Nexus Diamond.